Bali is the most popular island holiday destination in the Indonesia. The island is known for its forested volcanic mountains, iconic rice paddies, beaches and coral reefs. The island is the home to an ancient culture that’s known for its warm hospitality. Visitors come here to explore Bali. The island is also known for its yoga and meditation retreats. One thing you will always remember for year includes one thing and that is experiences. Be it a new adventure or a unique dish, events like these make the best memories. 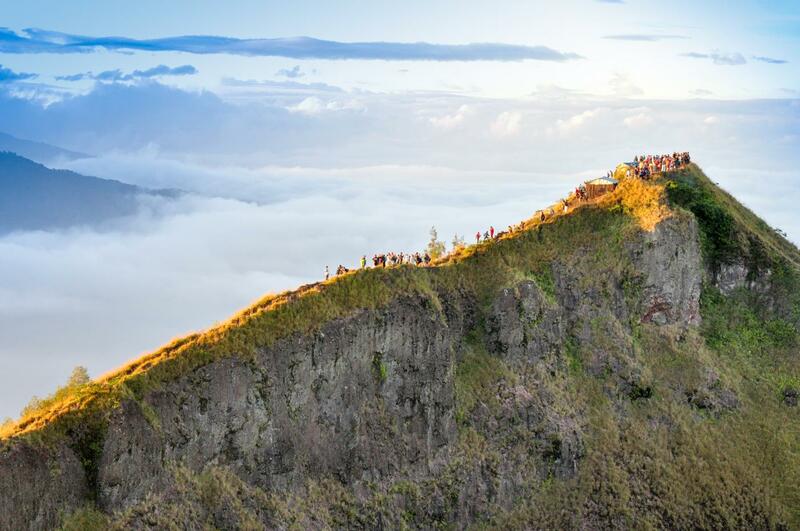 If we think about volcano, the only thing came in mind is Mount Batur. The active volcano lies here, with hundreds of visitors begin the trek up the 1700 meter summit of Mount Batur to watch the sun rise above the mountain. The trek include a breakfast, with eggs cooked by steam. One should reach by 6:00 Am to catch the sunrise. Pura Tanah Lot situated 20km northwest of Kuta is one of the bali’s most iconic temple. 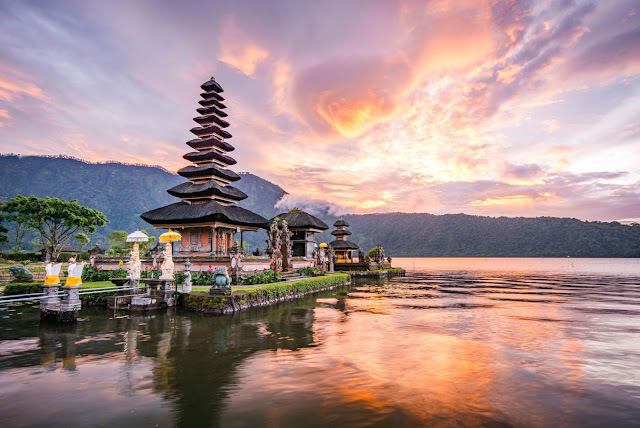 For the Balinese people, it is one of the most sacred sea temple. Foreigners cann’t enter any of the temples. This place is good for taking photo. After viewing the various temples and shrines, you can relax at resturants and cafes. 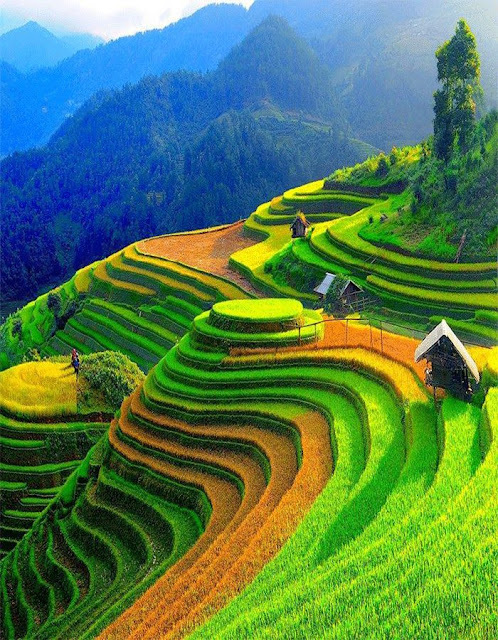 Tegalang rice terrace ubud is one of bali’s most popular attractions, located north of ubud. Offering the most stunning sunrise and a real experience. Explore the valley of rice paddies, have a swing, and ofcourse alot of photos. Tegalang is an easy 20 min drive from ubud and is something you must do in Bali. When we think of Bali waterfall, the only thing came in mind is Sekumpul waterfall. Situated in the north of Bali. It is the most amazing waterfall, combination of seven waterfalls, here you will see Balinese old bamboo and also enjoy local seafood resturant. 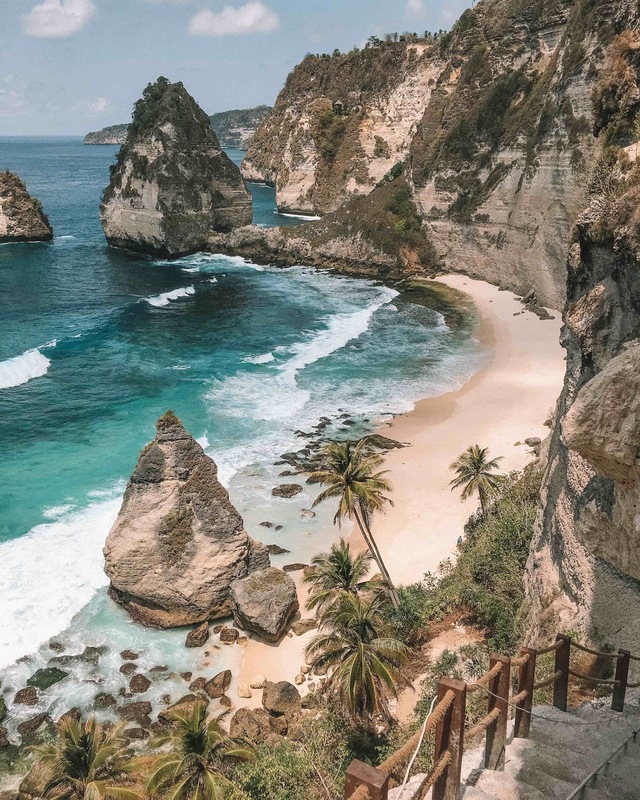 On the Bali island, Nusa Penida is one of the most beautiful beaches you have ever seen. Diamond Beach is an untouched, white-sand and silky blue water bay on the eastern tip of Nusa Penida. 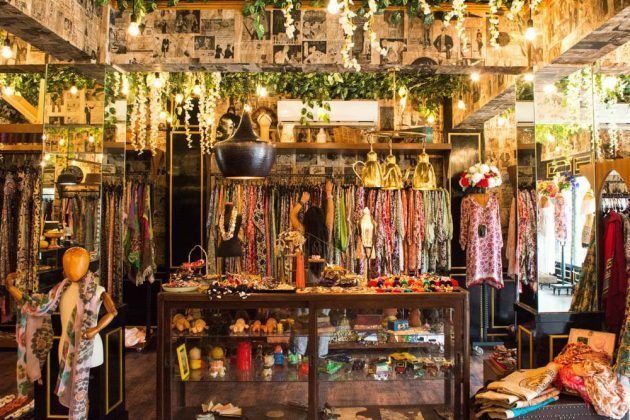 Bali Collection is perfect for shopaholics and those keen on purchasing traditional handicrafts like paintings, wooden frames, silver jewellery, Batik print clothes, kitchen items made from shells, bamboo etc. The shopping complex is a treasure trove of fine art and offers international brands too.